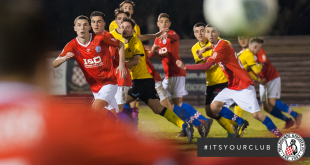 A poor second half has cost the Melbourne Knights a spot in the last six of the State League Knockout cup, succumbing to Heidelberg United 2-1 on Wednesday night at the Olympic Village. Coach Andrew Marth opted for youth, with one eye on the big clash with table topping Dandenong Thunder on Sunday. 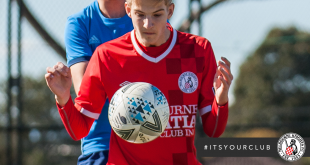 New signing Adam Nakic (younger brother to Jake) made his first appearance in the heart of the Knights defence in the absence of captain Adam Zilic who was rested for the game. 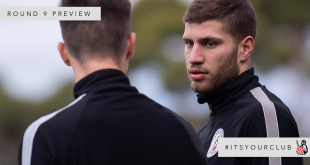 Regulars Uskok, Sweeney, Vincent and Jake Nakic started from the bench, with Brendon Zezovski, and Chris Talajic rewarded with a place in the starting line-up. 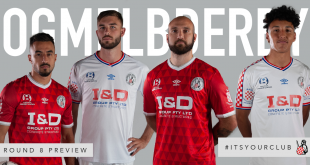 Heidelberg’s league campaign has been nothing short of disastrous, picking up only one win so far which happened to be against the Knights, and find themselves rooted to the bottom on the table. Nonetheless they fielded a near full strength line up in the hope of salvaging some cup glory of a dismal season. 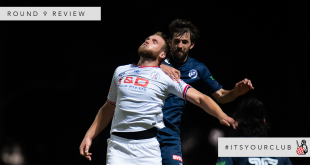 On a slow and muddy pitch, it was the Knights who started the stronger and eventually grabbed a deserved lead in the 15th minute. 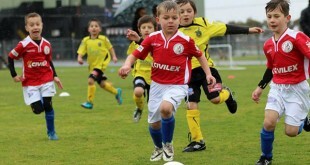 Shaun Romein’s curling free-kick form 25yards out dipped perfectly to beat a helpless Chris May in the Berger’s goal. 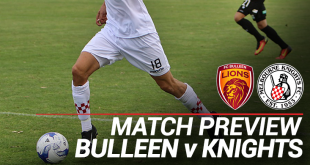 The Knights continued to boss the midfield, with the young brigade of Kustura, Talajic and Zezovski too quick for the Berger’s, but it was from the set pieces where the Knights looked the most threatening. Shuan Romein almost got his second midway through the half as his free kick somehow eluded everyone in a crowed penalty area and drifted inches wide of the upright. Knights keeper Aaron Romein had only one notable save to make in the first half, but the visitors would have felt that they could have put the game to bed in a dominate opening half, and ultimately the Berger’s would make them pay the full price. 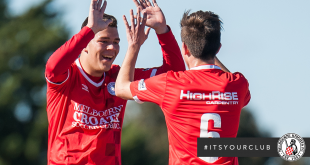 After squandering some golden chances early in the half, Heidelberg eventually got the equalising goal in 61st minute when Griffiths bundled the ball over the line in a goal mouth scramble. Minutes later Zezovski drew a good save from the keeper, however the Berger’s continued to dominate play as the more experienced players got on top of their tiring younger opponents. Heidelberg did find their winner in the 72nd minute as Kristian Sarkies got his name on the scoresheet his a well taken finish from the edge of the penalty area. 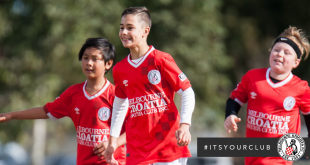 Coach Marth threw on Vincent, Sweeney and Jake Nakic in a desperate bid to get back into the match, but it was to no avail as the Berger’s sealed their place in the last six of the competition. Despite the result, there was plenty of positives to take from the game, in particular the impressive debut from Adam Nakic in defence. 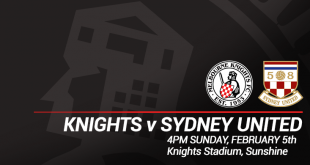 Focus now shifts solely to the League as the Knights host table topping Dandenong Thunder @ Knights Stadium on Sunday, kick off is at 3:00pm.